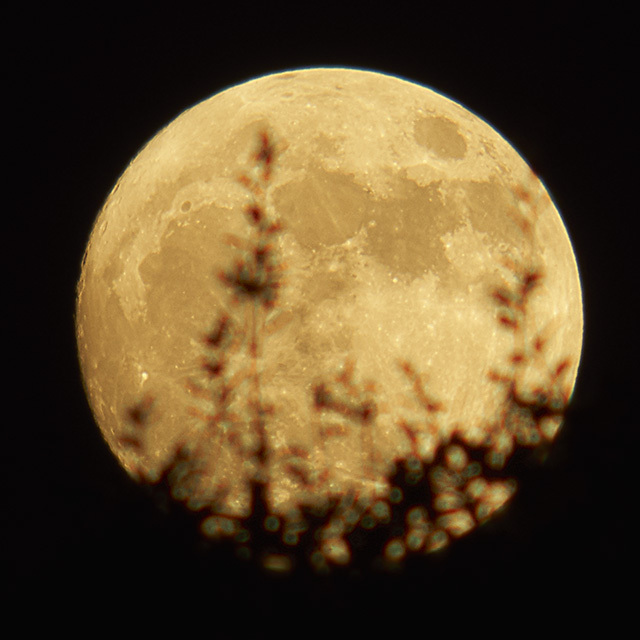 There are four opportunities to photography the largest super Moon in more than 50 years: moonrise Sunday evening (North America), close up views late Sunday night, moonset Monday morning, and moonrise Monday evening. This is the first of the four opportunities for me. Taken with a Sony a6300 and vintage Vivitar 200 mm prime lens with a 2X teleconverter. Exposed at f8 for 1/8 sec at ISO 100. Final crop and exposure in Photoshop.